Winding Down the Evening: Tips to Make Bedtime Routine Fun & Bubbly! As many of you know, my husband and I lead very busy lives. We’re working professionals managing several other projects simultaneously. We also have two boys under five and well, there’s never enough hours in the day to get everything done. But one thing that we’ve finally got down is our boys’ bedtime routine. This is particularly important for us because we get to spend quality afternoon time with our sons while teaching them about following instructions, engaging in thoughtful (often hilarious) conversations and ending the night with warm baths, book time and snuggles before we tuck them into bed and return to our projects. I visited the baby aisle because I needed to stock up on bath supplies for the kids and I noticed JOHNSON’S® Baby products had a different ‘look’. 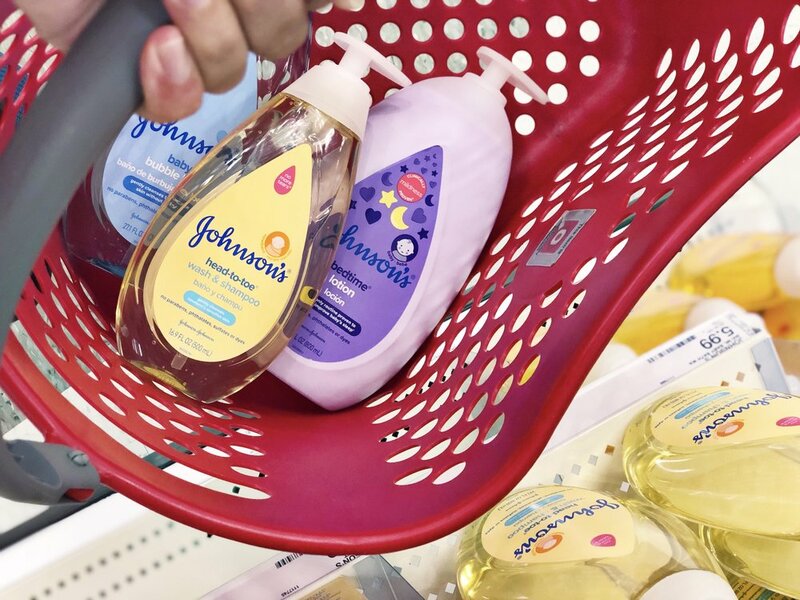 JOHNSON’S® recently reformulated its products to be more gentle. The products are now more naturally derived with 50% fewer ingredients. They’re hypoallergenic with no parabens, no phthalates, no dyes and sulfates. The company also designed new packaging and gave the bottles a makeover with more easy-to-use pumps. For a mom who’s been using JOHNSON’S® Baby products for nearly six years, discovering the new features was everything! I started loading my basket with some of our faves. 5:00pm-6:00pm — Homework. During this time, our little Toby who still has a long way to go before he starts Kinder, gets to do his “homework” too. His assignments usually involve scribbles on coloring pages or playing with flash cards. LOL. 6:00pm — Prepare dinner & Bath time! Whoever is not in the kitchen, takes care of giving the boys a bath. Lately, Paul’s been on a culinary quest to become the household’s next top chef so he opts to stay in the kitchen while I wrangle the boys to the bathtub. Benny and Toby have a basket with their bath time supplies, including bath sponges, a few toys and our favorite baby bath products, which include JOHNSON’S® Head-To-Toe Baby Wash; JOHNSON’S® Bedtime Bubble Bath; and JOHNSON’S® Bedtime Lotion. Like I mentioned earlier, we’ve been using JOHNSON’S® Baby products since the boys were born and I love that these products are even gentler now! and he loves carrying the JOHNSON’S® bottles with him to the bathtub. He knows the blue bottle (JOHNSON’S® Bedtime Bubble Bath) is used to make a “simming pool with bubbles”. He knows the yellow bottle (JOHNSON’S® Head-To-Toe Baby Wash) is the most important because it removes all the yuckies from his body. And he knows the purple bottle (JOHNSON’S® Bedtime Lotion) helps moisturize his skin so he doesn’t get the itchies. The kids have been bathed, dried, moisturized and changed into their pajamas, ready to have dinner. Toby takes a little longer to get to his high chair because he refuses to stay still when I’m putting on his diaper and applying lotion on his skin. I have to distract him with toys and books! it’s time to brush teeth and tuck in bed for story time. Benny usually picks out three books and Toby chooses two. After we’re done with books, we say our bedtime prayer and the lights go out. On week nights, they’re asleep by 8:30pm but I’m typically a little more flexible on weekends. The next morning, the boys wake up looking snuggly and smelling clean thanks to JOHNSON’S® Baby Products… it makes me feel like hugging them for hours! I promise you’ll love every item! A PJ Masks Supermoon Adventure!